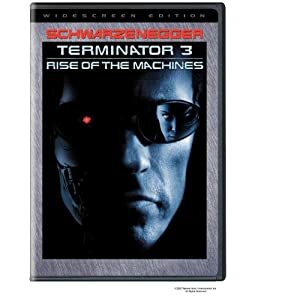 Terminator 3: Rise of the Machines is the third installment of the Terminator series. Arnold Schwarzenegger is again trying to protect John Connor from the newest and most advanced model of Terminator sent to terminate him. This time it's an expressionless hottie played by Kristanna Loken. For fans of the series, this is another great addition. The action is fast and the special effects are very cool. It's a great gift or stocking stuffer for a man, if he doesn't already own it.